Dan Biggar has made 10 good tackles so far this game. Charlie Mulchrone sets up the try. A stunning solo try from James Lang. Trouble here as James Lang breaches the defence. Northampton make a substitution with Francois van Wyk coming on. Andy Symons comes on for Northampton. The touch judges raise their flags as Dan Biggar kicks the penalty goal. 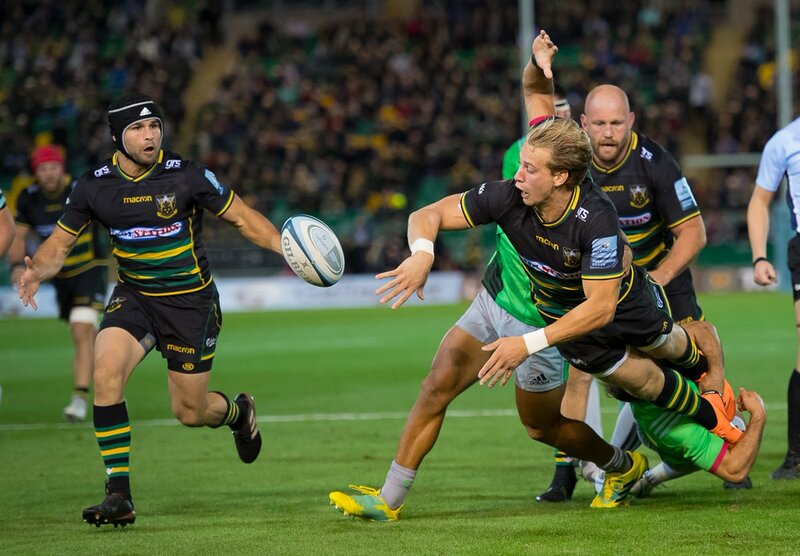 This is dangerous for the defence as Harry Mallinder bursts through to advance the Northampton attack. Elia Elia has made 10 good tackles so far this game. Northampton decide to make a substitution, with Jamie Gibson getting some game time. 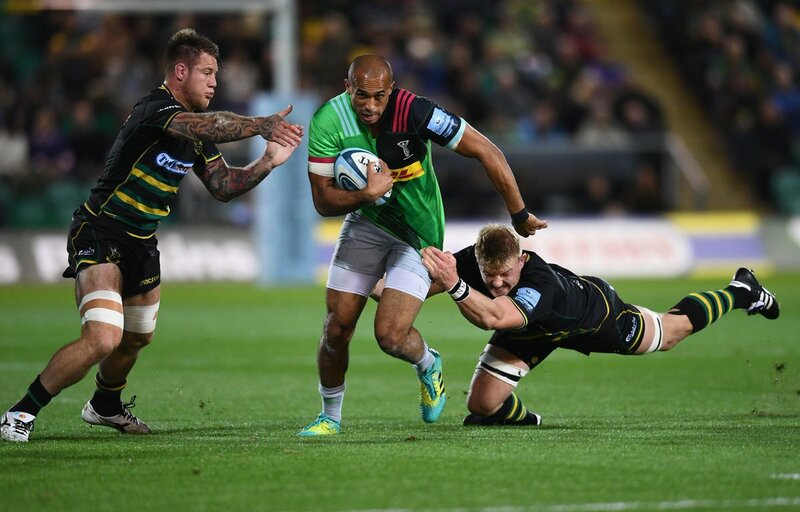 Northampton decide to make a substitution, with James Haskell being replaced. Northampton make a substitution with Ehren Painter coming on. 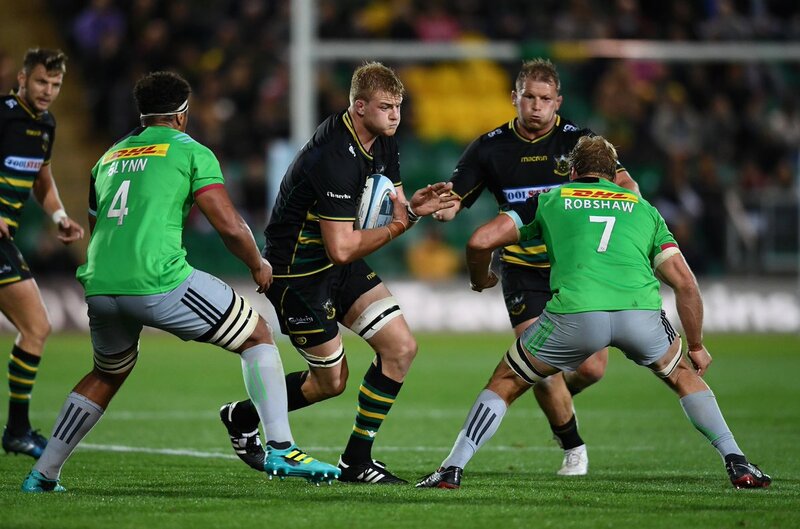 Matt Symons departs for Harlequins. 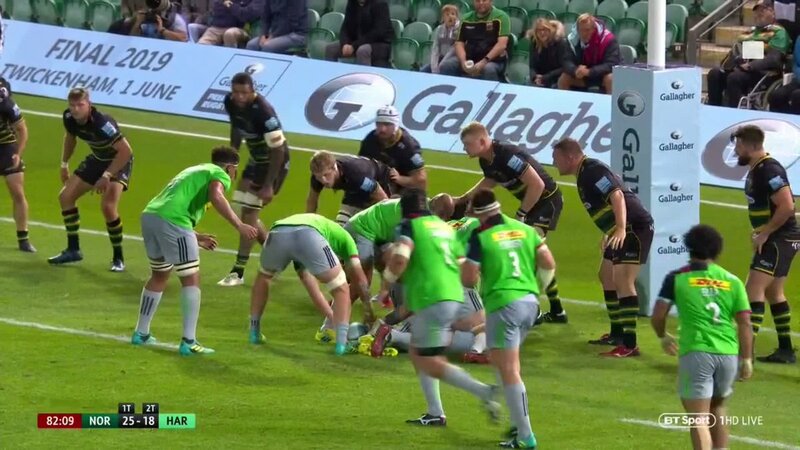 The Northampton pack has powered over for Dylan Hartley to score the try. 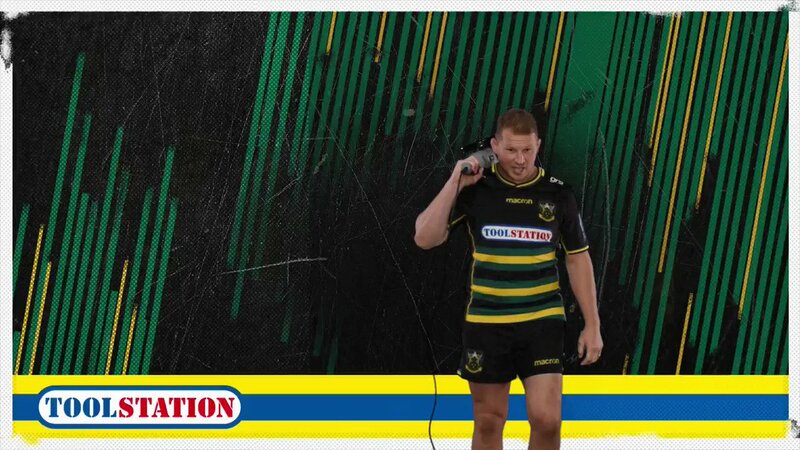 Dylan Hartley comes on for Northampton. James Fish leaves the field. 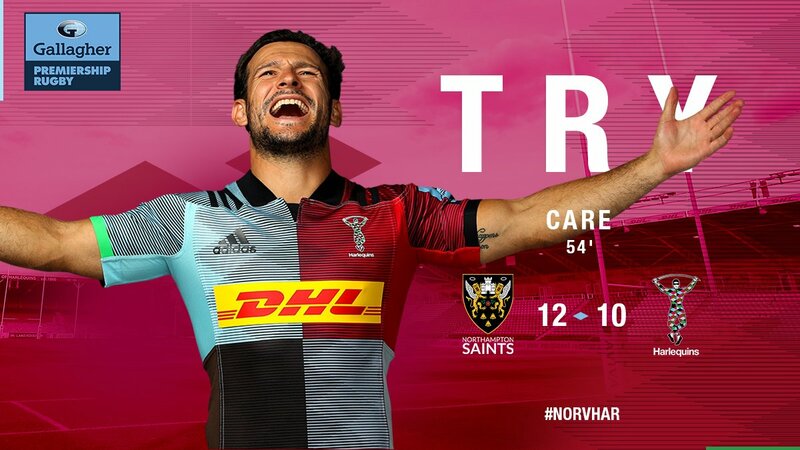 Dan Biggar adds the points for Northampton. 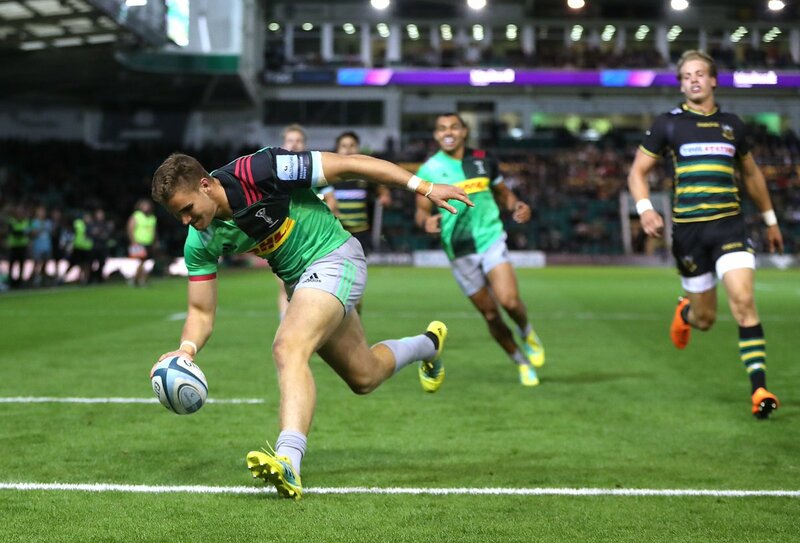 The defensive line has been broken as Harry Mallinder goes through the gap. What a tackle there by Elia Elia as he saves a certain try!. 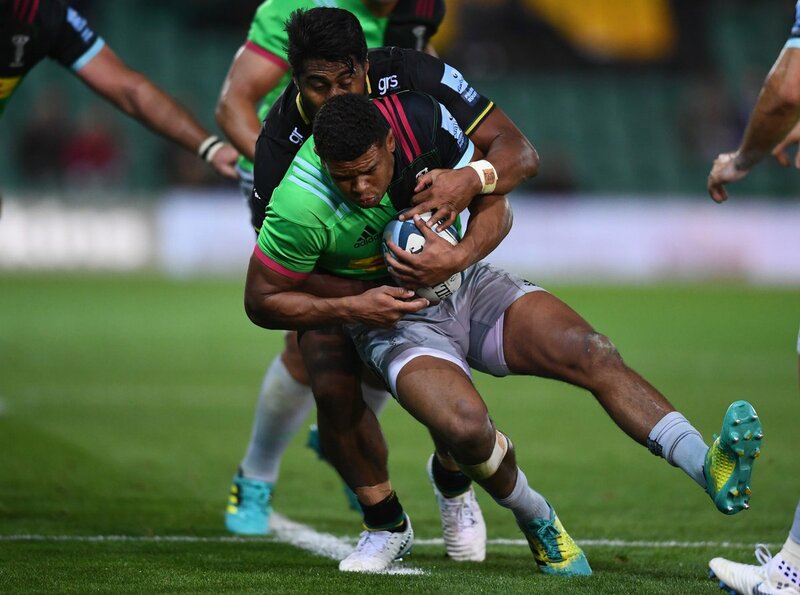 What a run here by Ahsee Tuala as they gets over the gainline!. 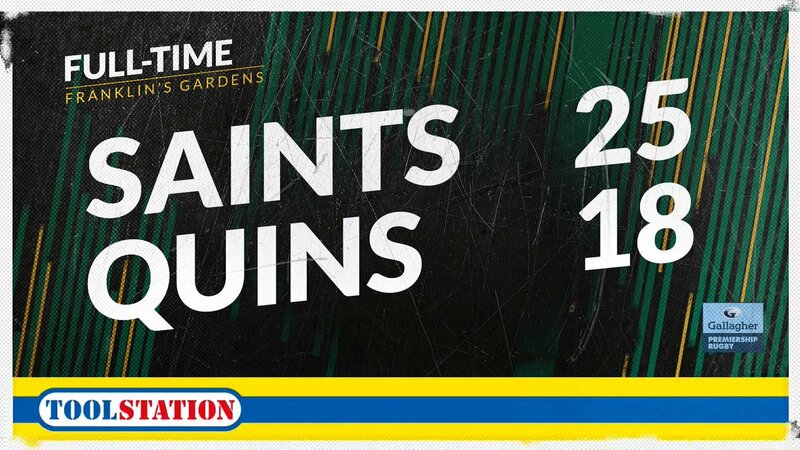 Jacobus Reinach makes the break as the defence re-enacts the parting of the red sea. Dan Biggar can consider himself unlucky as he sees the ball hit the left upright and bounce away. Trouble here as Ben Tapuai breaches the defence. 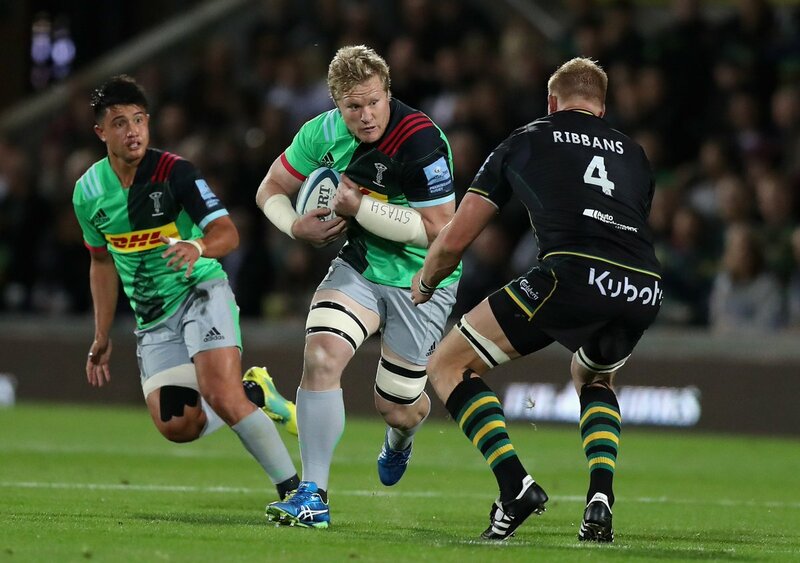 This is dangerous for the defence as James Chisholm bursts through to advance the Harlequins attack. The defensive line has been broken as Tom Collins goes through the gap. 💬 "Those are the kind of games we were coming out on the wrong end of last year." 58' | Change for Quins with Stan South on for Matt Symons.